Where are the printers? - Ask Us! Q. Where are the printers? 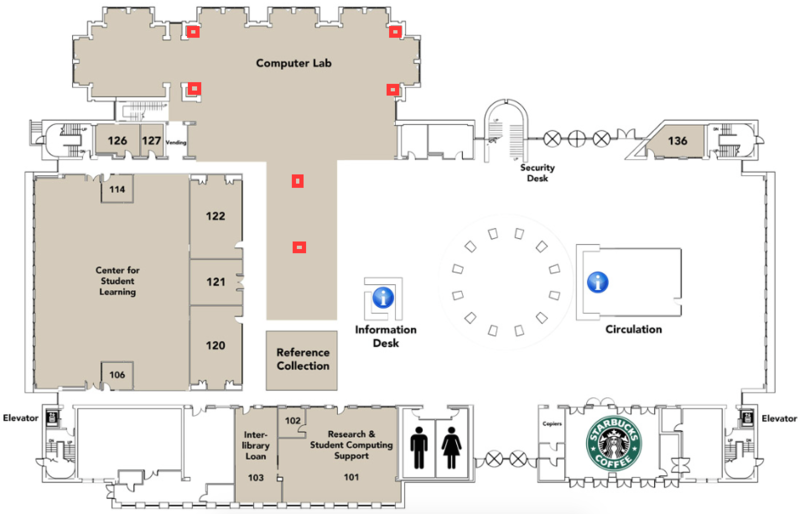 The red squares on the map below indicate the approximate location of the six printers (the Single-sided Copies printers) in the library on the first floor.